American Airlines Center features a collection of premium full service bars designed to fit the mood and spirit of each event. With these specialty bars being located around the arena, they serve a unique selection of offerings for guests including a wide variety of wines, spirits and beers. 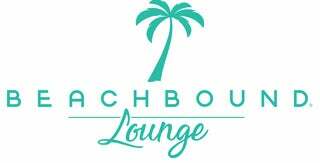 BeachBound Lounge brought to you by BeachBound.com Find your perfect beach getaway. With two locations on the Platinum Level, the Chef’s Corner offers a wide variety of food and beverage options for our guests. 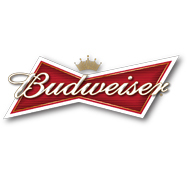 Menu items include Chicken Tender Basket, Grilled Chicken Basket, TX Bacon Cheeseburger Basket, Jumbo Hot Dogs, Salads, Baked Wedge Potato Fries with Loaded Potato Dip, Nachos, Popcorn, Soft Pretzels, Giant Homemade Cookies, Non-alcoholic Beverages, Domestic and Import Draft Beer and Assorted Wines. The Arrangement Club on the Platinum Level is an exclusive, cozy gathering space fully furnished with luxury rustic, modern designs. Enjoy the casual comfort of our custom pieces while indulging in a market-style selection of specialty food and beverages. La Cucina features chef prepared made-to-order pasta dishes, gourmet salads and pizzas. El Taco Tex features street tacos and gourmet nachos. The Texas Carvery location features hand carved gourmet sandwiches. The Arrangement Club is open during all events however the hours of operation of La Cucina, El Taco Tex and Texas Carvery vary. The EFFEN Vodka Bar is also located in the space, featuring a full service bar with ice cold EFFEN flavored vodkas available. 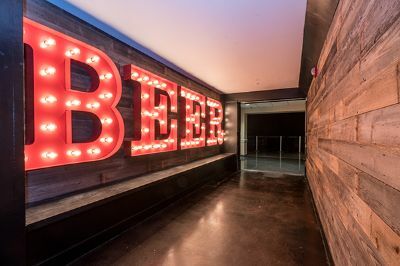 EIGHTEEN|76 offers fans a place to celebrate great beer in a setting that reflects quality and heritage. It’s traditional with a contemporary twist, as reflected in the bold graphics and beechwood bar as well as outdoor patio space. You won't miss a minute of the game-time action with the multiple HD TVs located around the bar. The name is a nod to the year in which one of America’s most iconic beers was first brewed. Brand new to the American Airlines Center, the bar is stocked with a wide array of beer, wine and spirit offerings and your hometown bartender can create a specialty cocktail just for you! Try one of our Jack Daniels Signature cocktails such as the Pair of Jacks or the Jack-a-Rita! Take a trip downstairs from the Old No. 7 Club to the Gentleman Jack Lounge and enjoy dinner from our exquisite Chef’s Table boasting fresh made salads, signature entrees and delightful desserts with menus that change with the seasons and events. Chef Mark Mabry and his culinary team have a treat for you each and every game. Gentleman Jack overlooks the Mavericks practice court and has window’s in front to view Mavs players pre-game and Stars players post game. Should you be looking to dine with us, Gentleman Jack Lounge opens two hours before all Maverick and Stars games and though reservations are not required, they are highly recommended and can be made by following the reservation link below. For parties of more than 8, please call the Club directly at 214-665-4753. Featuring two distinct areas, the Jack Daniel's Old No. 7 Club is exactly what you’re looking for. 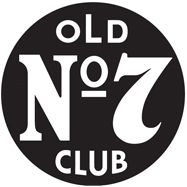 Whether you’re looking for a fast paced, high energy sports bar or a casual sit down experience, Jack Daniel's Old No. 7 is the place to be. The bar is stocked with a wide array of beer, wine and spirit offerings and your hometown bartender can create a specialty cocktail just for you! Try one of our Jack Daniel's Signature cocktails such as the Pair of Jacks or the Jack-a-Rita! Open two hours before all Maverick and Stars games, if you enter the Club via the street level and you will have an opportunity to enjoy one of our a la carte menu offerings and/or a delicious beverage inside the lounge or on our great outdoor patio overlooking the sights and sounds of AT&T Plaza! Each night you dine in the Lexus Platinum Club the Chef’s Table boasts an array of fresh, seasonal items and creative menus from Chef Mark Mabry and his first class culinary team. Continually changing with the events and seasons Chef’s menus are sure to please any palate and can be complimented by the Clubs extensive wine list, wide array of beers or one of our specialty cocktails. Stop by one of the two Lexus Platinum Club Lounge Bars for a pre or post game cocktail or join us for dinner prior to your next game. The Lexus Platinum Club opens an hour and a half prior to all Maverick and Stars games as well as select concerts. Should you be interested in dining with us, reservations are not required, however are extremely recommended and can be made by following the reservation link below. For parties of more than 10, please call the Club directly at 214-665-4753. Club open for all Mavericks & Stars games. RSVP below. The new Tequila Patron VIP Lounge provides guests with an exclusive experience. Located on the event level, the Tequila Patron VIP Lounge opens when doors open and closes at the start of the 3rd Period for Stars and 3rd Quarter for Mavericks. The Lounge is available to individuals with courtside or glass tickets and includes multiple televisions and state of the art lighting. 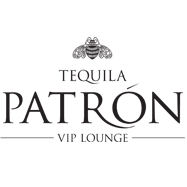 The Tequila Patron VIP Lounge features one full service bar and includes an all you can eat chef’s buffet. Valor Bar & Burger is a retro area that features a menu of craft burgers along with cocktails, wine and beer. Make sure to check out the Burger of the month. Click here for a menu. Terrace Taproom is a brand new space that features a large array of local craft beers along with a variety of bratwursts.